Yikes! Just as one Hollywood couple gets together, another one seems to break up! 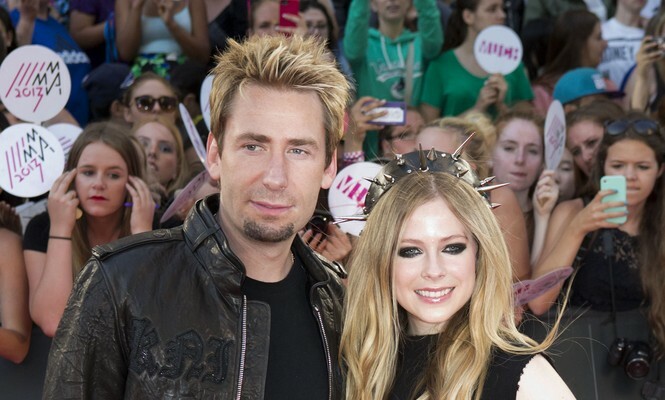 Only two years after their celebrity marriage, Avril Lavigne and Chad Kroeger have announced their celebrity divorce, as reported by UsMagazine.com. The newly single celebrity Lavigne took an unusual approach to announce the celebrity break-up by posting a smiling candid of the former lovebirds on her Instagram page. The singer positively claims the two will remain the best of friends. Mark down another celebrity break-up in the record books this year! What are some ways to try to save your relationship prior to a break-up? 1. Notice the signs: Constant arguing, feelings of neglect, boredom and signs of distrust are all red flags that your relationship is struggling and needs help. Do not ignore these and let nature take it’s course because this will end badly. Instead, be proactive and address the problems. 2. Do something memorable together: If your relationship has hit a wall then try spicing it up with an exciting adventure or activity. Take a weekend vacation or go on a hike so you and your love can try and rekindle what you once had. This will also give you valuable time to talk about and resolve any issues the two of you face. 3. Forgive each other: Any past grudges you’re holding should be forgotten about so the two of you can have a clean slate. Making each other feel guilty over previous fights will only hinder the relationship so the best way to move forward is to genuinely forgive your partner. This will clear the path for new and happier experiences together. What were some practices you and your loved one used to save a relationship? Let us know below.